This is another photo of last Saturday morning. The squirrel was climbing in the tree and I spotted it after my breakfast. I grabbed my camera and went outside. It let me get really close, then climbed higher into the tree. You got to see more photos the last few days here on the blog. (Look below). 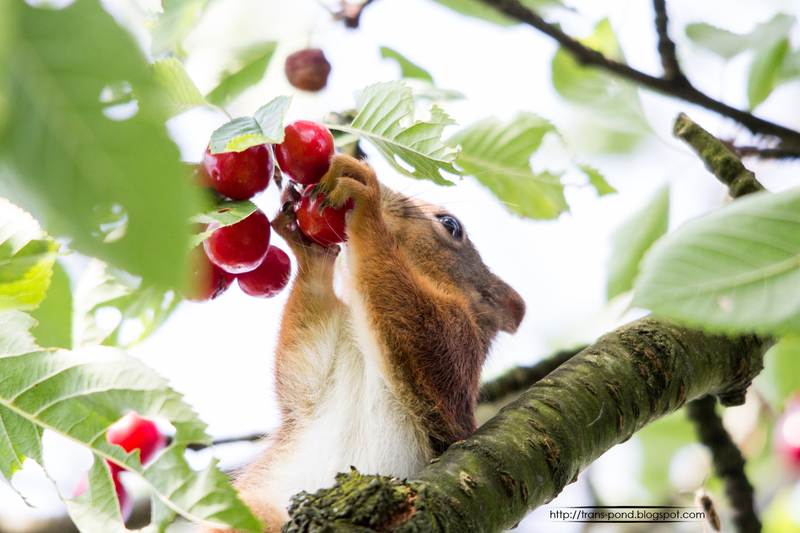 I just love how they use their front legs as hands and how they carefully grab a cherry and pluck it off. Just too cute.